An increasing number of Israeli businesses are choosing to locate their international offices in Connecticut, citing the prime East Coast location, excellent quality of life, and support from the Jewish community and local economic development organizations. 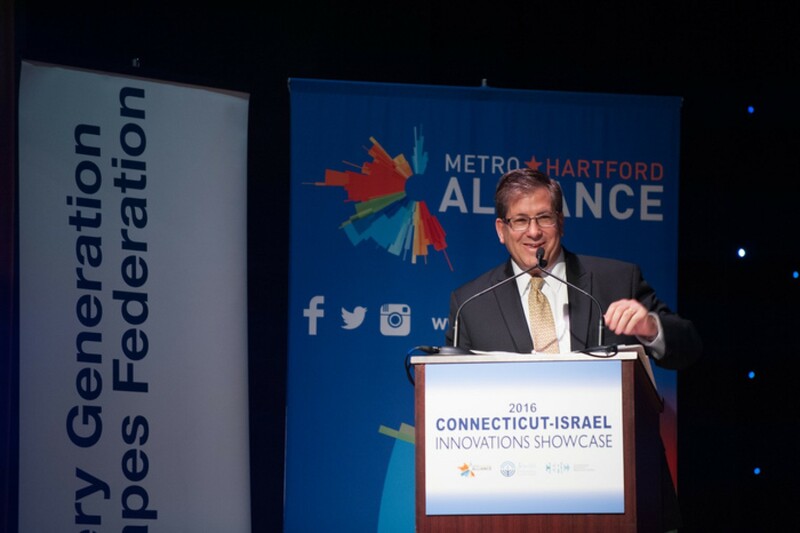 In 2010, Federation’s Jewish Community Relations Council and MetroHartford Alliance launched the first CT-Israel Tech Summit at Goodwin College. In 2011, the Summit had grown to twice the size, with 150 people attending at Rentschler Field. The June 2013 Summit at the Oakdale Theatre in Wallingford attracted 200 leaders and investors from across the public and private sectors. The Showcase has continued to grow and focus its efforts. To read more about the 2016 Innovation Showcase, click here.